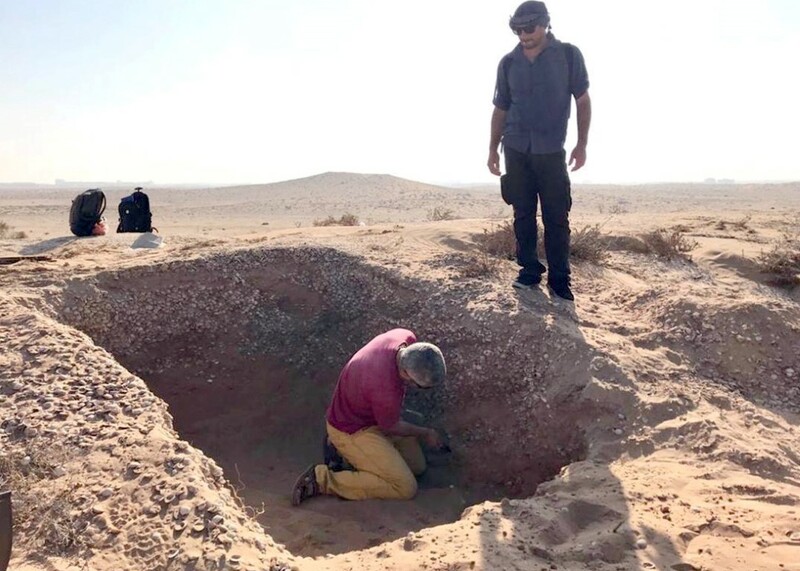 A French archaeological mission has concluded its excavation project in Umm Al Quwain for the current season with the completion of test trenches in eight new archaeological sites. The work has been undertaken in collaboration with the Department of Tourism and Antiquities of Umm Al Quwain. The mission’s excavations resulted in the discovery of a number of artefacts. Alia Al Ghafli, Director-General of the Department of Tourism and Antiquities of Umm Al Quwain, said that the new excavations are an excellent addition to Umm Al Quwain’s archaeological map. Samples have been sent to the laboratory of the Sorbonne University in France for Carbon-14 analysis, to accurately date these sites. Rania Hussain Qanouma, Director of the Antiquities Section at the Department, explained that the sites date back to the Neolithic period. Stone items as well as fragments of pottery from the Ubaid civilisation of Mesopotamia (Iraq) are among the finds.